As many as 385 seniors are expected to receive degrees at the commencement exercises, which will take place on the campus mall. Rain or shine, the college will provide remote viewing locations: Cole Hall auditorium, the Kline Campus Center, Bowman Hall and the Boitnott Room in Rebecca Hall. The Rev. Dr. Jeffrey W. Carter became the 10th president of Bethany Theological Seminary on July 1, 2013. Previously, he was senior pastor and head of staff at the Manassas (Va.) Church of the Brethren. A native of Westminster, Md., Dr. Carter graduated in 1992 from Bridgewater College with a bachelor’s degree in international studies. While a student at Bridgewater, he co-founded the soccer club, which received NCAA Division III endorsement two years later. After graduation he joined Brethren Volunteer Service and worked on Capitol Hill for the Church of the Brethren Washington Office as a legislative aide, focusing on issues involving international trade and Central America. Dr. Carter earned a master of divinity degree from Bethany Theological Seminary in 1998 and was ordained in the Church of the Brethren. In 2006 he received a doctor of ministry degree with a focus in hermeneutics from Princeton Theological Seminary. Dr. Carter entered the ministry in 1993 as associate pastor at the Florin (Pa.) Church of the Brethren. In 1995 he joined the Manassas Church of the Brethren as associate pastor, then served as team pastor until being named senior pastor in 2003. As part of his calling to ministry, Dr. Carter has valued service to the community and the Church of the Brethren as well as the opportunity to teach, including preaching, church history, ecumenism, and theology. The denomination previously called him to membership on the Standing Committee of Annual Conference and to chair the Annual Conference Study Committee on Denomination Name. He also represented the Church of the Brethren to the World Council of Churches from 2003-2010. Dr. Carter has been a featured speaker at many events, such as the Church of the Brethren Annual Conference and National Youth and Junior High Conferences, and he is scheduled to speak at the 2014 National Youth Conference. While in Manassas, Dr. Carter served Prince William County as president of the Ministerial Association and lead chaplain for the Department of Fire and Rescue. He was also nominated by Senator James Webb of Virginia to serve as guest chaplain for the United States Senate, the first member of the Church of the Brethren to do so. Dr. Carter has contributed to the Feasting on the Word commentary by John Knox Press and to the book Worship Today by World Council of Churches Publications, Geneva. He contributes to Messenger, the denominational magazine, and an upcoming issue of Brethren Life and Thought will feature his article on Elder John Kline. In 1995 Dr. Carter married the former Kimberly Flora, a 1994 graduate of Bridgewater College. They have three daughters and reside in Richmond, Ind. About Prof. W. Steve Watson Jr.
Steve Watson, associate professor of philosophy and religion, emeritus, was a member of the Bridgewater College faculty and community for 43 years, retiring at the end of the 2013 academic year. During his tenure he gave priority to his teaching, resulting in life-long relationships with many former students, some now teaching in the College faculty or serving on the College’s board of trustees. His students also include Dr. Carter. At his retirement party in 2013, former students came from great distances to honor his career at the College. Prof. Watson served multiple times on nearly every faculty committee, including committees for two general education curriculum revisions. He served as advisor to the Honor Council for almost 20 years and sat often on the Judicial Hearing Board. He originated a considerable number of courses currently taught in the department of philosophy and religion. Also during his tenure he taught in an interdisciplinary faculty team with members of the English, chemistry, biology, health and human sciences and education departments. His philosophy courses were audited by faculty colleagues many times. In administrative capacities, Prof. Watson served two years as director of the Brethren Colleges Abroad program in Marburg, Germany. He served as director of the Personal Development Portfolio program for seven years, was a member of the president’s cabinet, and was the head men’s tennis coach for four years. In recent years he served on joint committees with the board of trustees for strategic planning and twice on presidential search committees. Joining him in this calling have been his wife, Ruth, and children, Todd Watson and Wendy Colley. Ruth and Steve Watson founded the endowed Philosophy Award given to a deserving student at the awards convocation each spring. 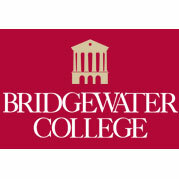 Prof. Watson says he has been blessed to be part of the Bridgewater College community.